We Take Care Of All Your Bathroom Plumbing Needs In SE21. Your Kitchen Is Very Important. Our Dulwich Plumbers Are True Experts. Do you need the services of quality plumbers in Dulwich (SE21)?Trustworth Plumbing is very professional and provides local, specialist plumbers. We are definitely a company that gets the job done correctly and on time. We have vast experience and many happy customers. Our reputation speaks for itself. We carry out repairs, installations and basic plumbing services to the highest standard. Our Dulwich plumbers work with complete precision and are never tempted to cut corners. We will never use old tools or parts. You should choose the services of a fully qualified engineer. If you decide not to, you will get big repair bill to fix all their mistakes. Our team of Dulwich plumbers only use expert tools and the latest technologies. Our team are calm under pressure, hard-working and happy to help. We cover all areas in the borough of Lambeth and offer a 24-hour service. If you require the best plumbers Dulwich has, then consider hiring us. Our plumbers in Dulwich are fully qualified to handle any plumbing task. So whether it is a leaky tap in the kitchen or a toilet/bath installation - choose us. No job is too big or too small for our team. 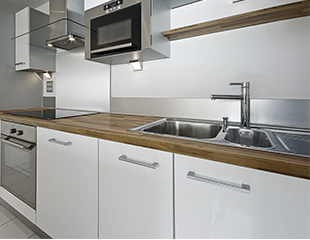 We provide property management for landlords who need luxury plumbing installations. If you have a new luxury suite, our expertise ensures we can professionally complete any installation. When it comes to price, we are fully transparent and honest. You may wonder how much it costs for a plumber in Dulwich. Well, Trustworth provides standard plumbing work at £75 per hour in South London. More centralised regions in London have a slightly higher standard rate-per-hour. This is due to parking and congestion charges. Extensive plumbing work will require one of our team to visit you, to provide a quotation. All quotations are free. Are you experiencing a plumbing emergency in Dulwich? Do not panic, trust in our team to respond quickly and help. 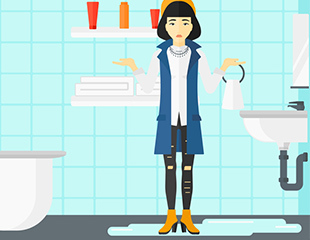 Whether you experience a burst pipe, blocked drain, faulty or broken toilet cistern or just a leaking tap - call us. We provide the best repairs and makes sure that they can last for a very long time. Trustworth does its best to respond to your call as quickly as possible. We will be able to offer initial advice to you before we arrive. So if you have a burst pipe, we can offer helpful tips. Our emergency plumbers in Dulwich will already be on their way to your property to help you. What Makes A Good Plumber In Dulwich? 1) They have always wanted to do a work that is very hands on. Being skilled with their hands is a great natural ability to have. 2) They love their job. If you love the job you do then you are always happy doing your job. The best plumbers Dulwich has to offer go to work every day with a smile on their face. 3) They always make sure their tools and equipment are in good condition. Part of the job is using tools. Shoddy tools shows that the heart really isn't in it. 4) A good plumber in Dulwich will have experience that makes them do the highest quality work. They will have learned some tricks and techniques over the years that you just don't get without experience. 5) They have great customer service skills. It is not just about the money, but making sure you do the best job for your customer. Be willing to work in all weather and alway be their for your customer in an emergency. Call us on 020 8670 4443 or 07951538977 for any plumbing repair or installation. We are among the best plumbing companies in South-East London. Our team pride themselves on providing quality work. 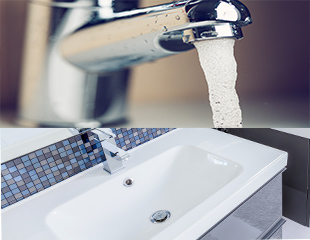 Our engineers can install or repair a tap, sink, basin or toilet. We will install showers, water tanks and any new pipework, with total precision. When it comes to the simple jobs, our plumbers are true experts. Landlords in Dulwich choose us for property management because we're reliable and very organised. We are masters at fitting new taps, basins, sinks, showers and toilets. These include any luxurious contemporary range you like. We deal with all your sink waste problems and can install sink macerators. Our company also provides a washing machine and dishwasher installation service. Our Dulwich plumber can take away your old washing machine or dishwasher. So if you are a landlord who needs work conducted for a tenant at short notice; contact us now. When it comes to determining the cost of plumbers in Dulwich, it depends on the company you have chosen. You should look for a transparent and easy to follow pricing guide. Their rate or price per hour needs clearly stating, as well as any further costs. With Trustworth Plumbing our prices are very easy to follow. We charge £75 per hour for all standard work in various London areas. If you live in an area affected by congestion charges / expensive parking - the cost is slightly higher.